The pair are making a habit of bickering over trademarks. We don't know when exactly Apple and Swatch first had a falling out, but trademark disputes seem to be the stage both have chosen to publicly acknowledge their strained relationship. In the latest example of this, Apple is challenging Swatch's "Tick different" trademark, which features in marketing campaigns for its Bellamy range of simple, analog watches that include NFC for contactless payments. Apple is arguing the phrase is too similar to its now-retired "Think different" slogan, thus causing confusion among consumers. After unsuccessfully raising the grievance with the Swiss Federal Institute of Intellectual Property, Apple has taken the matter to the Swiss Federal Administrative Court (and could potentially launch a similar challenge in the US, where Swatch also possesses the trademark). In its defense, Swatch claims the similarity is purely coincidental and a nod to the slogan "Always different, always new," which the watchmaker used in the 1980s. 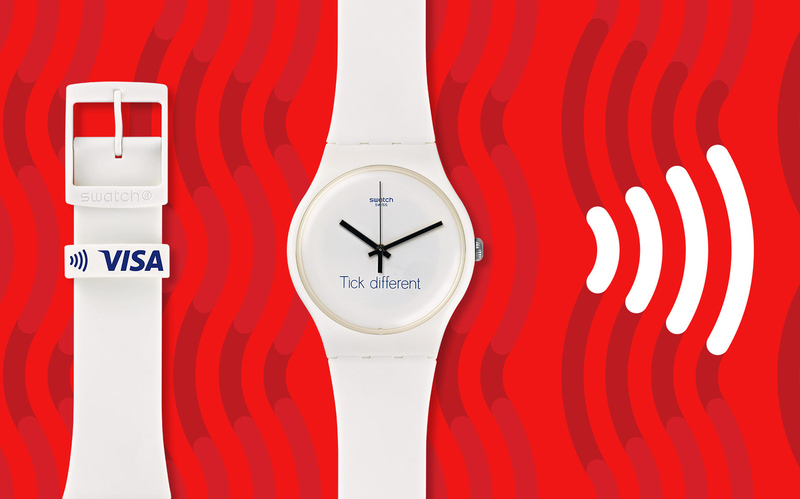 There's no denying "Tick different" is on the provocative side, and Swatch has something of a history of poking the bear. The company registered the trademark "One more thing" a few years ago, for example, which the late Apple CEO Steve Jobs famously used at press conferences to build hype for a big reveal. Ironically, though, Apple's "Think different" catchphrase is widely thought to be industry trolling itself -- a cheeky reference to IBM's "THINK" slogan, which the company has used since the early 20th century. According to Swiss publication Watson, Apple must evidence its claim by proving to the court that more than 50 percent of local consumers associate "Think different" with the Apple brand. This could be a hard ask, since Apple used it in promotional materials from 1997 through 2002, abandoning the motto following the launch of the iMac G4. In other words, it's been retired for 15 years already.